Microplastics are defined as small pieces of plastic no larger than 5mm in size, that have been broken down by time, and this new research identifies the extent in which it is a threat to marine life. Whilst much attention has been focused on oceanic plastic pollution, this new study explores the impact plastic waste is having on rivers and the fresh water species that inhabit them. The research, led by London NERC DTP Ph.D. student Alexandra McGoran, along with Professor David Morritt and Dr. James McEvoy, from the School of Biological Sciences at Royal Holloway, Dr. Phillip Cowie from the University of the West of Scotland, and Dr. Paul Clark from the Natural History Museum, examined both upper and lower water species in the Thames Estuary and Firth of Clyde. The results of this study concluded that, out of the 876 fish and shrimp examined across both estuaries, around a third had ingested microplastics, and the average number of plastic pieces that had been consumed was equal across the Thames and Clyde. 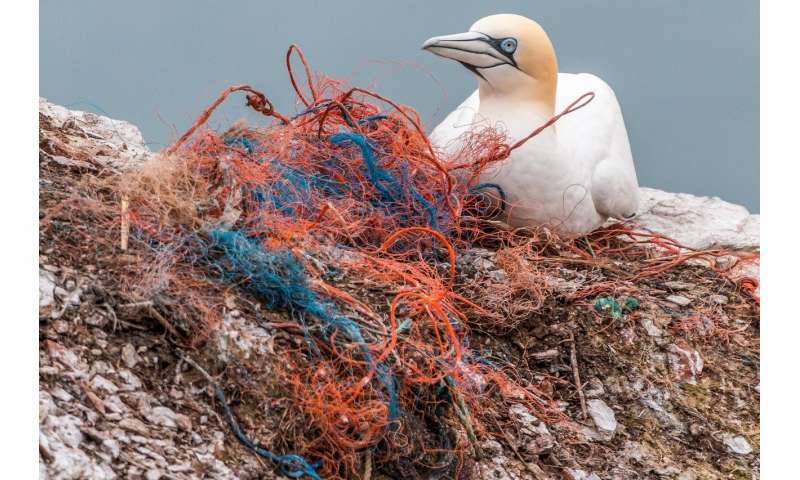 Alexandra said: "People have started to really take note of the severity of plastic pollution and our research further demonstrates why this is such pressing issue. "Both rivers are extremely diverse ecosystems, home to hundreds of different species. To see this large number of species that our plastic waste is putting in danger is actually rather shocking. "Our results show the need for more research into freshwater and estuarine ecosystems to be carried out so we can better understand the effects microplastics are having on their inhabitants." Professor David Morritt added: "This research is essential in providing us with an insight into the extent of pollution in our waters. "Plastic is a very long-lasting material that is rapidly polluting our planet, all the while posing a threat to the species that live in fresh waters." Dr. Paul Clark said: "Assuming current trends continue then the total amount of plastic produced by 2050 will be 33bn tonnes. Therefore the amount of plastic litter polluting our beautiful blue planet will dramatically escalate over the coming years. "Plastic pollution is on the same calamitous magnitude as climate change and deforestation. All three are being undertaken in the name of vast profit, when what is really required is a monumental behavioural change in human attitudes. "What I find most depressing about plastic pollution of our aquatic environment is that it is now irreversible and its presence will persist for many generations."